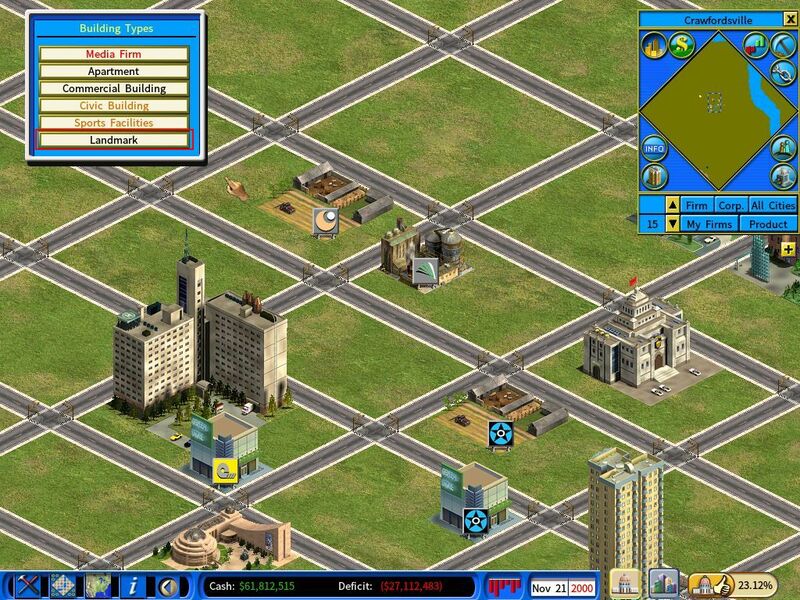 As you continue to grow your cities, you will be given city goals that reward you with the ability to build landmarks in the city. 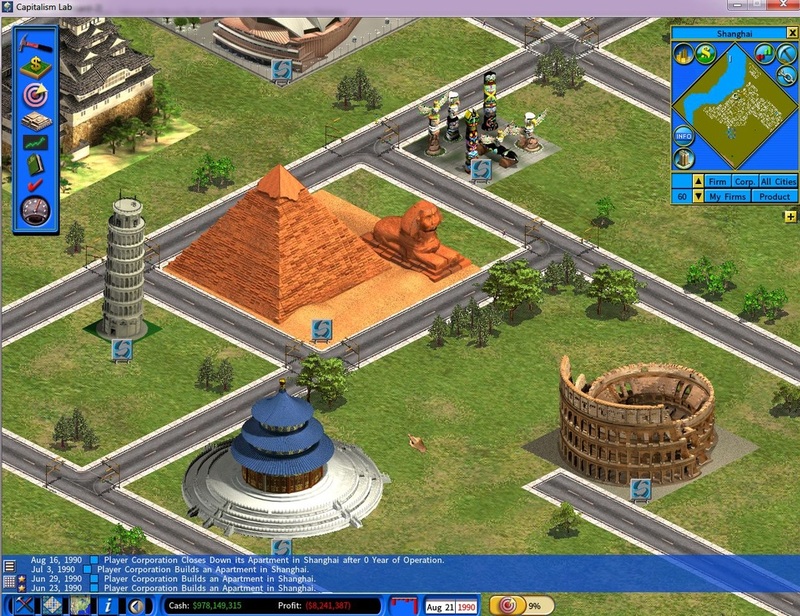 There is a variety of landmarks that you could build. 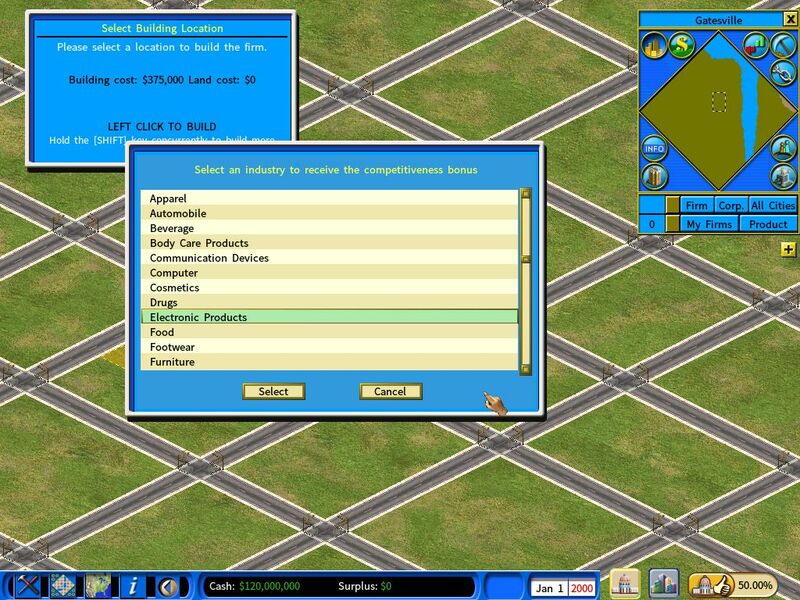 The following preview screen shows a few of them. 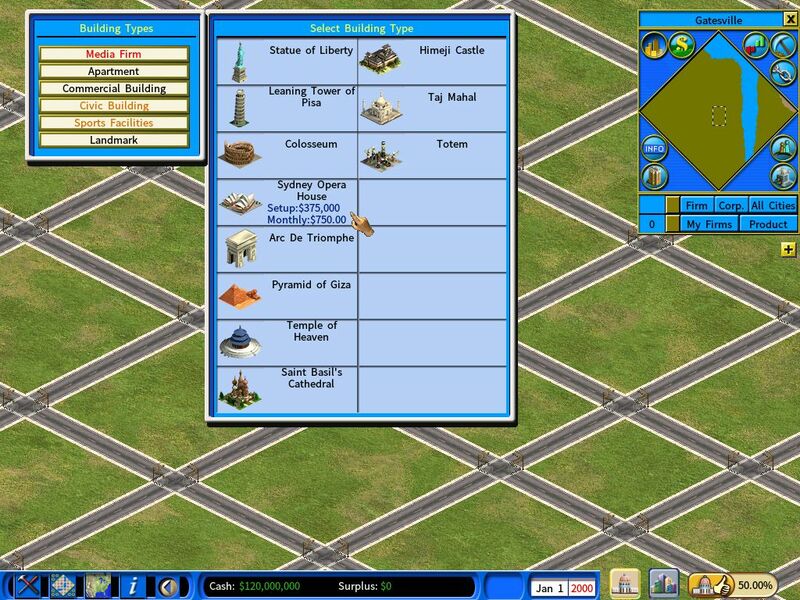 Once you have achieved a goal that unlocks a landmark, you will be able to build the landmark while you are in the Government mode, as shown in the below screenshot. Now select Landmark from the Build menu, you will see a list of landmarks available to you. 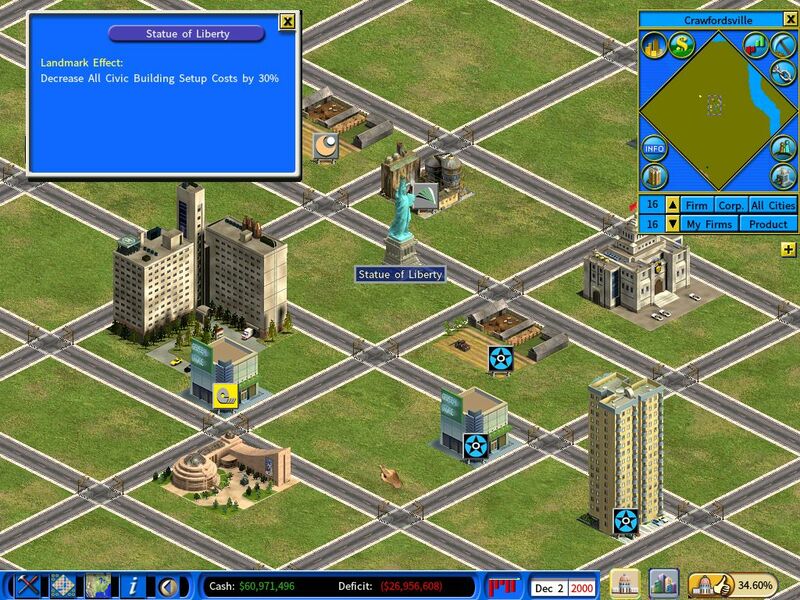 The following screenshot serves as a demonstration purpose, showing all available landmarks. But in the actual game, you will only see one landmark initially. After selecting a location to place the new landmark, you will be able to choose a bonus effect to assign to the landmark. If you choose the bonus effect Increase Industry Competitiveness, you will be able to select an industry to apply the bonus effect. 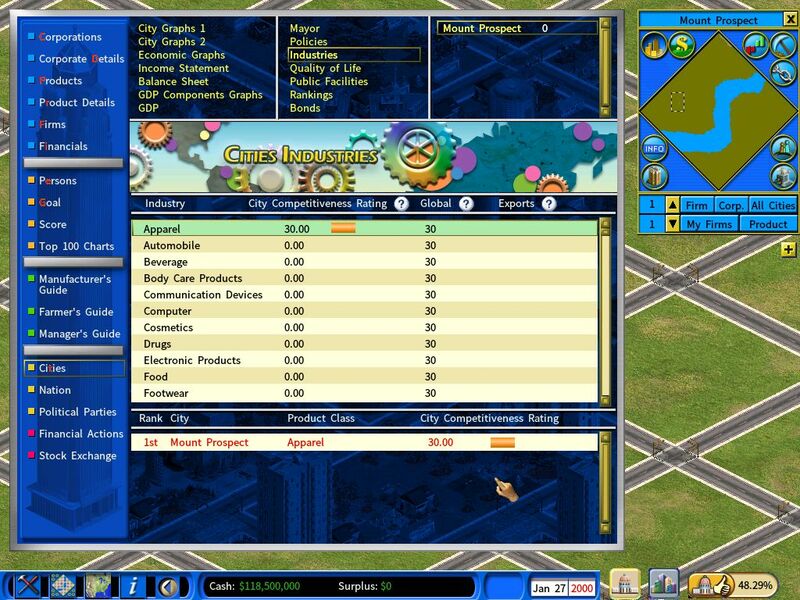 Let the game run for a few days and you will see the bonus effect in the City’s Industries report page. 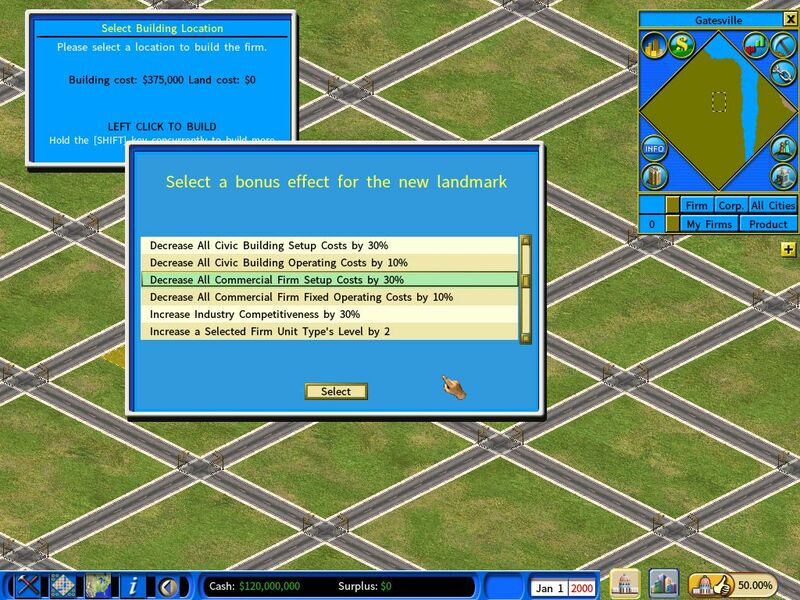 To view the bonus effect of an existing landmark, simply click on the landmark and an information window will pop up showing the bonus effect.